"We've revealed a major unknown in the evolution of our planet," says Esteban Gazel, an assistant professor of geology with Virginia Tech. An international research team, led geoscientist Gazel, has revealed information about how continents were generated on Earth more than 2.5 billion years ago — and how those processes have continued within the last 70 million years to profoundly affect the planet's life and climate. Published online today in Nature Geoscience, the study details how relatively recent geologic events — volcanic activity 10 million years ago in what is now Panama and Costa Rica — hold the secrets of the extreme continent-building that took place billions of years earlier. The discovery provides new understanding about the formation of the Earth's continental crust — masses of buoyant rock rich with silica, a compound that combines silicon and oxygen. "Without continental crust, the whole planet would be covered with water," said Gazrl. "Most terrestrial planets in the solar system have basaltic crusts similar to Earth's oceanic crust, but the continental masses — areas of buoyant, thick silicic crust — are a unique characteristic of Earth." The continental mass of the planet formed in the Archaean Eon, about 2.5 billion years ago. The Earth was three times hotter, volcanic activity was considerably higher, and life was probably very limited. Many scientists think that all of the planet's continental crust was generated during this time in Earth's history, and the material continually recycles through collisions of tectonic plates on the outermost shell of the planet. But the new research shows "juvenile" continental crust has been produced throughout Earth's history. "Whether the Earth has been recycling all of its continental crust has always been the big mystery," Gazel said. "We were able to use the formation of the Central America land bridge as a natural laboratory to understand how continents formed, and we discovered while the massive production of continental crust that took place during the Archaean is no longer the norm, there are exceptions that produce 'juvenile' continental crust." The researchers used geochemical and geophysical data to reconstruct the evolution what is now Costa Rica and Panama, which was generated when two oceanic plates collided and melted iron- and magnesium-rich oceanic crust over the past 70 million years, Gazel said. 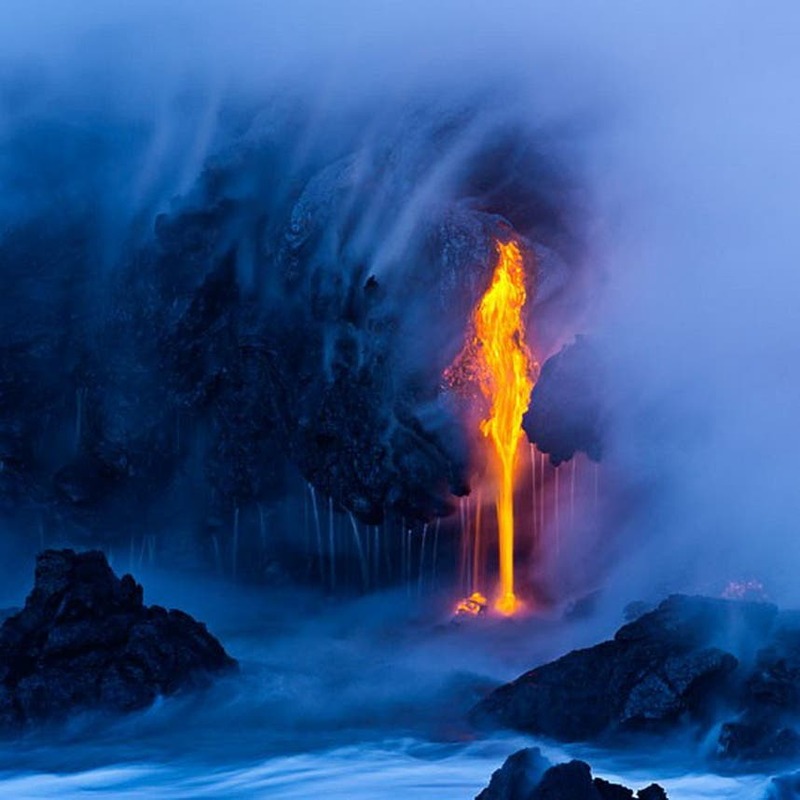 Melting of the oceanic crust originally produced what today are the Galapagos islands, reproducing Achaean-like conditions to provide the "missing ingredient" in the generation of continental crust. The researchers discovered the geochemical signature of erupted lavas reached continental crust-like composition about 10 million years ago. They tested the material and observed seismic waves traveling through the crust at velocities closer to the ones observed in continental crust worldwide. Additionally, the researchers provided a global survey of volcanoes from oceanic arcs, where two oceanic plates interact. The western Aleutian Islands and the Iwo-Jima segment of the Izu-Bonin islands of are some other examples of juvenile continental crust that has formed recently, the researchers said. The study raises questions about the global impact newly generated continental crust has had over the ages, and the role it has played in the evolution of not just continents, but life itself. "This is an interesting paper that makes the case that andesitic melts inferred to derive ultimately by melting of subducted slabs in some modern arcs are a good match for the composition of the average continental crust," said Roberta L. Rudnick, a Distinguished University Professor and chair of the Department of Geology at the University of Maryland, who was not involved in conducting the research. "The authors focus primarily on Central America, but incorporate global data to strengthen their case that slab melting is important in unusual conditions of modern continent generation — and probably in the past." For example, the formation of the Central American land bridge resulted in the closure of the seaway, which changed how the ocean circulated, separated marine species, and had a powerful impact on the climate on the planet. Did Our Early Solar System Harbor Super-Earths? — "Earth Belongs to a 2nd Generation of Planets"